The local Government system in Tanzania was established under the Constitution of the Republic of Tanzania of 1977 under section 145 and 146. The operationalisation of the Local Government system is pursued through the District Councils Authorities. Tarime District Council was officially established on 1st January, 1984 under provision of section 8 and 9 of the Local Government (District Authorities) Act of 1982. 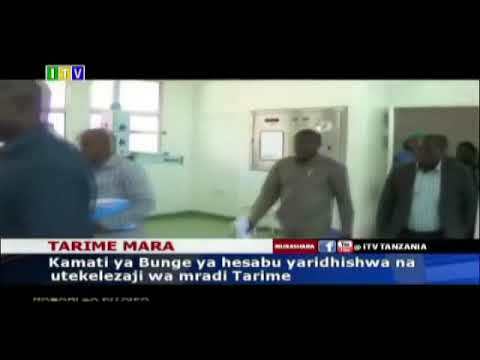 Tarime district council like any other Councils in Tanzania, operates with statutory powers and in line with legislation and regulations enacted by the parliament under the Local Government Act No. 7 of 1982. The Council is given wide-range of functions which includes: (i) To maintain and facilitate the maintenance of peace, order and good governance in their area of jurisdiction, (ii) To promote the social welfare and economic well-being of all persons within its area of jurisdiction; (iii) Subject to the national policy and plans for the rural and urban development and to further the social and economic development of its area of jurisdiction. Tarime District Council is one of 166 Local Authorities in Tanzania undertaking various reform measures under the Local Government Reform Programme (LGRP) Phase one and two, the council is expecting to improve the delivery of services to the public. In fulfilling the Council’s functions as summarized in section 111 of the Local Governmentt(District Authorities) Act of 1982, the Council requires strategic decision making to trigger sustainable local economic development through strategic planning at district level. The District is situated in the North-West of Tanzania and lies between latitudes 10.00” - 10.45” S and longitudes 33030’ – 350 00’ E, with a total area of 1,636.9 km2. The District is boarded by Kenya (Trans-Mara and Kurya District) to the North, Serengeti District to the East Rorya District to the west and Musoma District to the south. About 270 km2 of its area is covered by Serengeti National Park (Lamai Area).The district comprises of 4 divisions, 26 wards, and 88 villages with 469 hamlets.